Below you can view all the homes for sale in the Old Fourth Ward subdivision located in Atlanta Georgia. 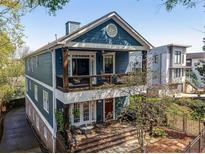 Listings in Old Fourth Ward are updated daily from data we receive from the Atlanta multiple listing service. To learn more about any of these homes or to receive custom notifications when a new property is listed for sale in Old Fourth Ward, give us a call at 404-998-4063. 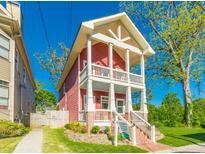 Best Location To Live On The Beltline! MLS#6539820. Compass. Additional Storage Space In Backyard Shed. Easy Access To Freeways. MLS#6537907. Properly. Research The New Howard Middle School Being Constructed Directly Across The Street. MLS#6538122. Southeastern Home Team. Walk To Pcm, The Beltline, O4W Park, & More! MLS#6534591. Keller Williams Realty Intown Atl. Outdoor Living Space On Each Level. MLS#6535133. Coldwell Banker Residential Brokerage. Wide Plank Hardwoods Throughout, Best Quality Finishes. Gorgeous! MLS#6528428. Palmerhouse Properties. At This Price, It Won'T Last Long So Hurry Hurry! 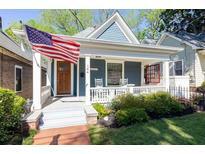 MLS#6528193. Village Realty. This Is Your Best Opportunity To Live The Lifestyle That You Have Always Wanted. MLS#6118542. Atlanta Fine Homes Sothebys International. This Is A Very Warm Modern Masterpiece! MLS#6525722. Atlanta Fine Homes Sothebys International. Stroll To The Beltline, Highland Bakery, & More! MLS#6526446. Keller Williams Realty Intown Atl. All This About 2 Blocks From The O4W Skate Park, The Beltline, And A Few Blocks From Pcm And Krog St Market. MLS#6521804. Real Living Capital City. Steps To Freedom Barkway (Dog Park), Highland Bakery, Beltline, Krog Street, Little 5, & More! MLS#6515768. Drake Realty, Inc.
Amazing Price For The Location! No Rental Restrictions. MLS#6513589. Palmerhouse Properties. Fortune Place Has Everything The Discerning Home Buyer Could Desire: Open Plan Design; Oversized Casement Pella Windows; Roof Top Deck W/ Wet Bar & Views Of Downtown, Midtown, & Buckhead; Hardwood Floors Throughout; Tankless Water Heater; Nest Thermostats; & The List Goes On. MLS#6512870. Avenue Realty, Inc.. Proof Of Funds Required With Offer. As Is No Disclosures MLS#6509958. Keller Williams Buckhead. One Of The Most Walkable Locations In The City. MLS#6503487. Re/Max Around Atlanta Realty. Beautiful, Brick Courtyard To Relax & Entertain. Hurry! ! MLS#6128490. Exp Realty, Llc..
Construction To Be Completed In The Near Future. MLS#6128473. Keller Williams Realty Community Partners. Outdoor Living Space Equal To Nearly Half The Interior Space Means This Home Lives Large. Expected Completion Summer 2019. MLS#8516942. Coldwell Banker Residential Br. Outdoor Living Space Equal To Nearly Half The Interior Space Means This Home Lives Large. Expected Completion Summer 2019. MLS#6124459. Coldwell Banker Residential Brokerage. The Perfect Live/Walk/Play Luxury Lifestyle In The Heart Of Hot O4W-Steps From The Beltline Eastside Trail, Ponce City Mkt, Park & More! MLS#6120060. Keller Williams Realty Intown Atl. Close To Shopping, Beltline, And Downtown! MLS#6115548. Palmerhouse Properties. Images Reflect Model Unit That Is Sold. MLS#6082149. Adams Realtors. Images Reflect Model Unit That Is Sold. MLS#6082112. Adams Realtors. Near Ponce City Market, Historic Fourth Ward Park, & The Beltline. View Our 3D Tour --- Bit.Ly/2Oiozpf MLS#6077934. Simply List.